Whether you’re a small or large fleet, BigRoad has everything you need to be compliant with HOS rules and the ELD mandate. 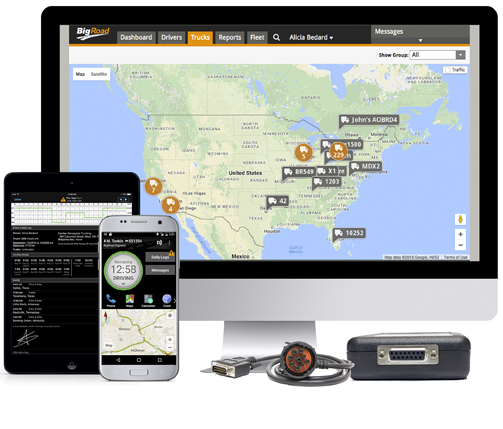 Over 40,000 fleets and 500,000 drivers have chosen BigRoad as their ELD compliance partner – see how our solution can help you! 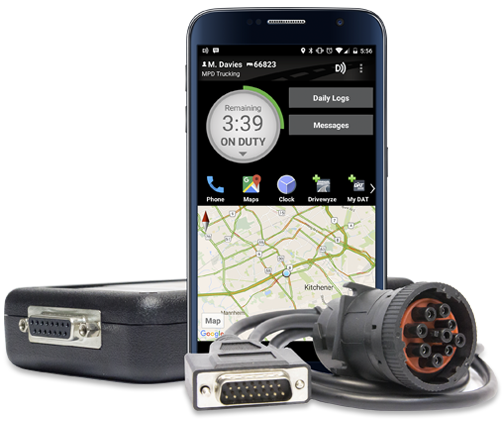 Get the #1 choice for ELD compliance in your vehicle. 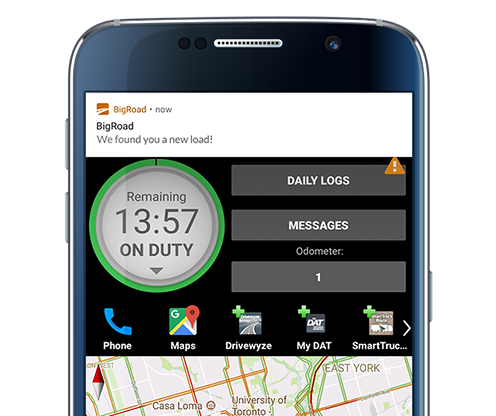 BigRoad’s DashLink ELD is the easiest and most affordable way to create engine-connected logs. 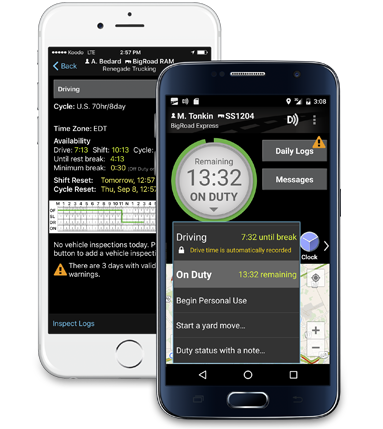 The #1 electronic logbook app for drivers on Android and iOS. Clean and inspection-ready logs with the BigRoad Mobile App. Book the loads you want, when you want, from within the BigRoad Mobile App. Loads are suggested to you based on your GPS coordinates and typical routes. Gain hours-of-service (HOS) awareness and visibility. 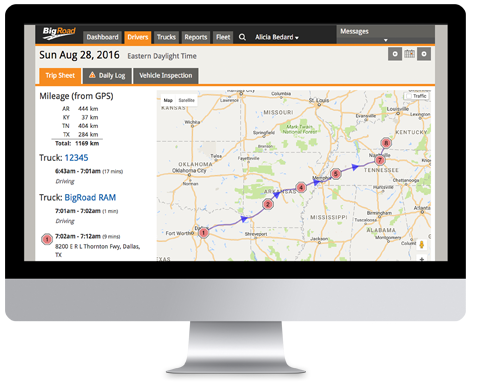 Build a better fleet with BigRoad’s real-time fleet management solution. Reduce time spent on administrative tasks, instantly identify potential violations, and proactively manage your drivers to improve your operations.